If I asked you to name a department store you would probably come up with something like Wal-Mart, JC Penney, Kohl’s, Target and the like. These are all humungous chains with hundreds or thousands of stores. But this wasn’t always the case. 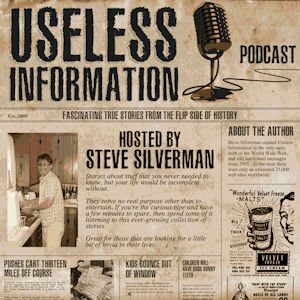 Prior to the 1920’s, multi-store department store chains were unusual. Most stores were local to the market that they served. One of the earliest chains of dry goods stores was the H.B. 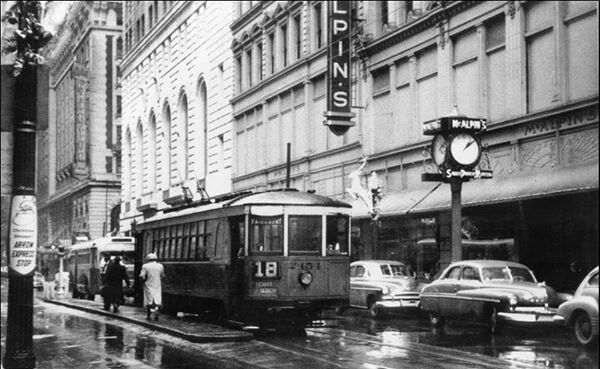 Claflin Company, which operated thirty-six stores, all under different names, at its peak. The company went belly-up in 1914 and its remnants were split among creditors to create two new companies. The first was American Dry Goods and they got all of the good stores, which included Lord & Taylor. The other company, Mercantile Stores, consisted of twenty-two of the lesser-known stores. Mercantile was a financial disaster from the start. Not only did the new company have to deal with outstanding debt from the previous owners, but World War I had a major negative impact on sales. Another problem was that each store was allowed to purchase wholesale goods separately, so the decision was made to centralize all purchasing and drive down costs. To do this, Mercantile took a major step and purchased the William T. Knott Company in New York City to centralize the purchasing and payment of goods for all of its stores. Fast-forward to 1940 and the company was in need of a traveling auditor to go store-to-store to check over the books. 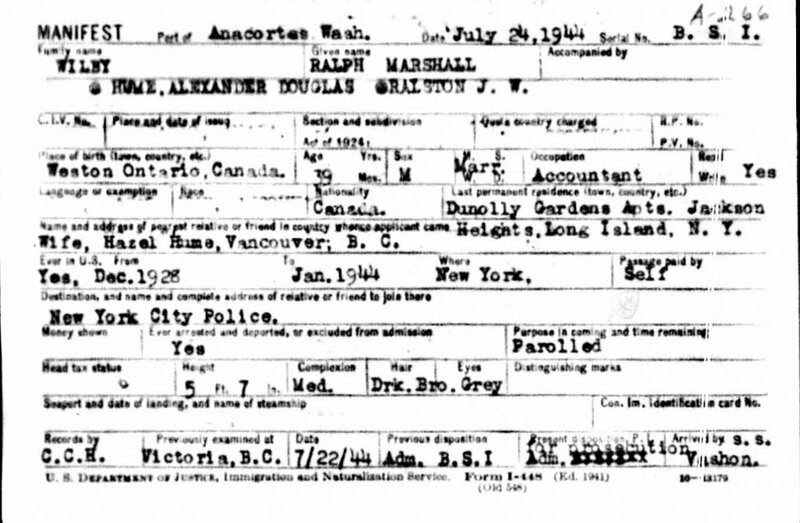 They selected a Canadian accountant named Alexander Douglas Hume for the job. Hume came highly recommended and was very knowledgeable in the field. While out on one of his assignments, Hume met the woman who would become his future wife: Hazel Ruth Vanderveer. To the casual observer, these two seemed like an unlikely pair. He was short, graying at the temples, and not exactly Joe Hunk. Hazel, in comparison, was 21-years-old, tall, and drop-dead gorgeous. As you will learn shortly, it was Hazel’s beauty that would be key to Hume’s downfall. Accountant Alexander Douglas Hume met his future wife Hazel at McAlpin's Department Store in Cincinnati. Over the next few years, Hume moved up through the corporate ranks. This was in part due to his great accounting skills, which no one questioned, but also due to the fact that many qualified men were off fighting the Second World War. Hume was taken off the road and put to work in Knott’s main office. In 1943, he was promoted to chief accountant and then to assistant treasurer. His salary was $6,000 per year (nearly $85,000 today) with a $500 annual bonus for his excellent work. Hume was an incredibly hard worker and was rarely ever home. He worked long into the night and gave up nearly every weekend for the job. Finally, in January of 1944, Hume could take no more. He complained to his boss Mr. Casey that he was overworked and exhausted. He requested a few days off to go skiing with his wife up in Canada. Hume told Casey that the books were in good order and were ready for the annual audit. Mr. Casey agreed to the mini vacation. Casey wired the manager of their store in Hamilton, Ontario asking him to check nearby hotels and hospitals for Hume, but the manager was unsuccessful. He then sent someone to the Hume’s apartment in Jackson Heights, but, once again, there was no sign of the couple. Unsure when Hume would return, Mr. Casey instructed the accountants to start their annual audit without him. It didn’t take long for them to find a discrepancy in the books. They added up piles of canceled checks and discovered that the total didn’t agree with the amount of money that had been withdrawn from their bank account. While they still didn’t have a clear picture as to how much money was missing, it was clear that someone had embezzled funds from the company. They had no proof, but all signs seemed to point to their missing accountant Alexander Douglas Hume. Luckily for investigators, their bank – the National City Bank, which is now known as Citicorp – kept a microfilm image of each check that they processed. They only photographed the front of the checks, so there was no way to determine who had cashed the missing checks in. The first check that they were able to track down was made payable to a company named Avon Mills in Trenton, New Jersey. Avon Mills had an account at the Trenton Banking Co., but it was soon learned that the firm had shut down their account a few months prior. Yet, the bank still had the signature of the man who opened the account on file – it was A.D. Hume – as in Alexander Douglas Hume. All of Avon Mills’ deposits, which had totaled $67,857.90, had since been transferred out. Just where did the money go? To bank accounts back in New York City at the National City Bank under the name A.D. Hume. In fact, it was the same exact branch that the Knott Company used for their banking. Meanwhile, accountants back at the firm were still combing through the books trying to determine just how much money had been siphoned out. They determined that $275,984.48 had been stolen between March 20th and July 8th of 1943. A previous 1942 audit had determined that everything had balanced out for the year, but accountants decided to reexamine the books. This time they found that $110,936.81 was missing. That’s a total of $386,921.29, which would be about 5-1/2 million dollars today. What is probably most amazing is that: (1) No one noticed that such a large sum of money was missing and (2) Knott had what they presumed to be a foolproof system with numerous checks and balances in place to prevent fraud like this from ever occurring. The real answers to what was going on could not be fully learned until investigators could locate Alexander Douglas Hume. Surprisingly, they were able to track the suspected embezzler down quite easily, but he was not where he was expected to be. It turns out that Alexander Douglas Hume was a major in the Canadian Army and was leading his troops on the European front. He had been in the army since 1940. Photographs that the police obtained showed that Hume did not resemble the suspect in any way, shape, or form. Yes, the suspected embezzler was also an imposter. It was back to square one. Detectives now had no idea who they were looking for. Wilby was born on January 20, 1905 in Weston, Canada. Between the years of 1927 and 1928, Wilby was employed by the Toronto office of the Brazilian Traction, Light, and Power Company as a bookkeeper. While employed there, he noticed that a number of checks that had been mailed to Harold Wallace in London, England had been returned as undeliverable. It was later learned that Wallace was deceased and that his estate was unaware of his stock ownership of the company. While working at the power company, Wilby obtained a copy of Wallace’s signature. He then left the firm and moved to Buffalo, NY. From there, he mailed $1 along with a forged copy of Wallace’s signature to a Toronto bank requesting that an account be opened under the assumed name. His next step was to write to his former employer and request that all of Wallace’s previous and future dividends be forwarded to that bank account. Ralph M. Wilby's Border Crossing at Buffalo, NY on December 28, 1928 at 25 years of age. Wilby would visit the Toronto bank regularly and transfer the money to five other banks under additional aliases. He accidentally confused the different assumed names and was nabbed by police in September of 1930 for theft of $1,300.42 (approximately $19,000 adjusted for inflation). He was convicted of grand larceny and sent to a reformatory for a period of one-year. Upon his release, Wilby moved to Norfolk, Virginia and secured a job as a bookkeeper using his real name. He married an attractive woman and they stayed together until 1935 when he was caught in another embezzlement scheme. The charges were dropped and Wilby was deported back to Canada. The marriage was annulled. Soon Wilby was back in the United States doing what he did best: stealing other people’s money. He assumed the name James W. Ralston, Jr. and was appointed to be both secretary and treasurer of a Chevrolet car dealership San Francisco. After four years of hard work, he parted with the company on good terms and moved with his new wife – 27-year-old Elaine Bair – to Colton, California. It was announced in the newspaper that he was partnering with George Bleisten to open a car dealership there. Running a car dealership is a great idea, but Wilby could never resist the temptation to use his accounting skills to con a company out of its money. In March of 1939, he walked into a San Diego car dealership and introduced himself as an auditor from General Motors. He looked over the company’s books and confirmed that everything checked out. He then strolled out the door with $800 that he had taken from the firm’s petty cash. What Wilby was unaware of at the time was that a real General Motors auditor was examining the books of that dealership he had previously worked for in San Francisco and discovered that they had been swindled out of $10,000 (about $175,000 today). He was arrested, given ten years’ probation, deported once again, and wife #2 had the marriage annulled. It wasn’t long before Wilby was planning his next swindle. He placed ads in various trade magazines seeking a qualified accountant. He received numerous applications, but the one that he was most impressed by – you can probably guess this one – was one from a man named Alexander Douglas Hume. He had worked for a number of New York companies and provided excellent references. A few weeks later, Hume notified Wilby that he was withdrawing his application because he had opted to join the Canadian Army. Almost immediately, Wilby assumed Alexander Douglas Hume’s identity. He headed to New York City with Hume’s work experience and excellent references in hand. And that’s how he landed the job at the William T. Knott Company. Police were able to piece together all of this information quite rapidly, but there was still one big question: Where was Ralph Marshall Wilby? Perhaps the biggest obstacle in locating him was that there were no known photos of Wilby. In fact, while researching this story, which was major news in the mid-1940’s, I never came across a single photo of the man. A little investigative work by detectives established that Ralph and Hazel socialized with just one couple in New York City. They were neighbors to their Jackson Heights apartment and, as luck would have it, they had a photograph of Wilby holding their baby. The couple also recalled that Wilby spoke very fondly of British Columbia. The photograph was duplicated and widely distributed across Canada. There was a $1,000 reward offered for his capture. While Wilby had a face that could get lost in a crowd, his statuesque wife Hazel stood out like a sore thumb. A photographer from the Victoria Times spotted the stunning Mrs. Hume standing in the crowded lobby of the Empress Hotel in Victoria. A female reporter questioned what he was gawking at and he pointed to Hazel. The reporter examined the hotel’s register to identify the couple and a mention of their sighting was published in the society column of the paper. When the item was reprinted in a Toronto newspaper, an observant stenographer at the Toronto offices of Traveler’s Insurance – the company that had bonded Knott and stood to lose $300,000 if Wilby could not be found – recognized the name and notified the police. 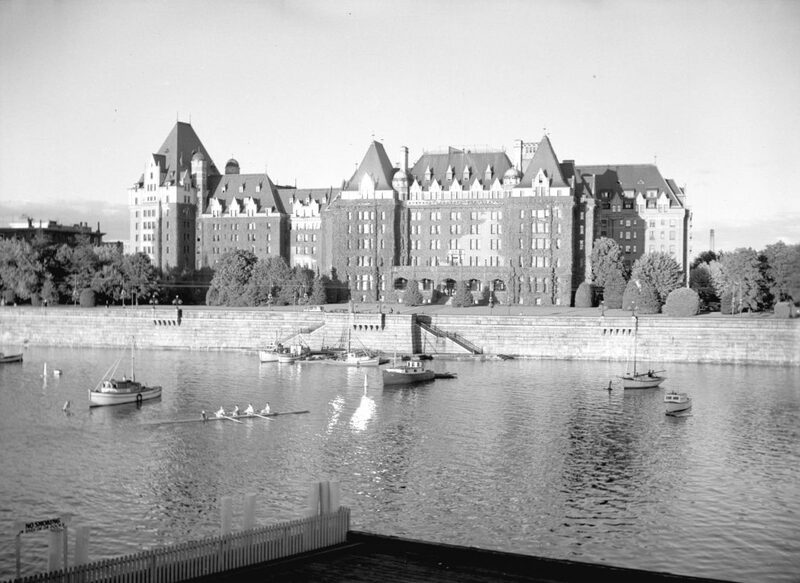 Image of the Empress Hotel in Victoria from 1940. The Victoria police went to the hotel to arrest Wilby, only to find out that the couple had already checked out. For some unknown reason, the couple returned to the hotel a few days later and Wilby was finally arrested. He had been on the run for fifty-eight days. Hazel was also taken into custody, but it was determined that she had no knowledge of the embezzlement. Her husband did not to admit to his real name until they were in Canada for that supposed skiing trip. Wilby told her that he had no choice but to hide his identity from her because he had previously gone over the border without the necessary paperwork and had been deported. Wilby also told Hazel that he had inherited a nice chunk of money from a great-aunt, had increased its value greatly in the stock market, but never paid tax on his earnings. Thus, he felt that he had to leave the United States to avoid getting caught. When he was arrested, Wilby had a total of $3.06 in his possession. He hired the best lawyers and they put up a good fight in an attempt to prevent his extradition. They appeared in court on twenty-three separate occasions at a cost to Wilby of $80,000 (approximately $1.1 million today). While preparing an appeal to his case, two New York City detectives grabbed him while traveling on a Vancouver ferry and brought him back to Anacortes, Washington on July 24, 1944 aboard a small fishing boat. Manifest record of Ralph Marshall Wilby returning to the United States on July 24, 1944 at Anacortes, WA. He was locked up in the Tombs prison of Manhattan and refused to cooperate for several weeks. Then he made an incredible deal with Traveler’s Insurance: he would tell them where the money was buried in exchange for $10,000. Amazingly, they agreed to the deal, handed Wilby a certified check, and he began to tell everything. First up was letting authorities know where the money was located. He drew a map indicating the number of steps one needed to pace out from an oak tree along a highway in Victoria to find the first stash. The second was the number of steps from a window behind a house that the couple had rented in Vancouver. At that location, two tins cans were dug up. One can contained over $200,000 in bonds and war savings certificates. The second contained $95,000 in U.S. currency. Now that much of the loot had been recovered, the question still remained as to how he pulled off such a large heist without anyone ever noticing. First, it should be pointed out that it was no easy task to steal from the William T. Knott Company. Their purchasing system was loaded with all types of checks and balances to prevent a theft from occurring. From what I was able to piece together, there were over twenty individual steps taken between the time a purchase order was issued and the final payment made to the vendor. Different offices within the Knott Company purposely handled different portions of the process. Only a person with intimate knowledge and unlimited access to the entire system could dream of circumventing it. That man was Ralph Marshall Wilby. Without getting too technical – there is a detailed explanation in the June 1953 issue of the Internal Auditor – Wilby altered a number of invoice aprons by changing the name of the vendor and highly inflating the dollar amount. He would then create an additional apron to match what the individual department store had originally submitted. Wilby was also able to operate the company’s complex punch card and check signing machines, which gave him easy access to cook the books. When checks were cashed, he was in a position to destroy the evidence. His ability to falsify, insert, and remove orders was just one piece of the puzzle. The other was that he was able to charge the stolen funds to expense and freight accounts at each store. These particular costs were not always known beforehand, so Wilby assumed correctly that padding these accounts would probably never be noticed by anyone. Yet one manager did complain about the increased expenses to a supervisor. He, in turn, passed it on to Wilby to handle. He simply made some adjustments and provided a made-up explanation of what had happened. The real trick to making this all work was the dummy companies Wilby set up around the country to receive the checks. The names of these firms came straight out of his imagination and included Bailey Fabrics, Godshell Manufacturing Company, Edstander Company, the Package Delivery Service, and numerous others. Starting in 1942, Wilby rented office space around the country to house these fictitious businesses. Basically, these offices consisted of a desk and a part-time secretary to receive the mail, but never to open it. Since he knew exactly where the checks were being mailed to and when, Wilby would get out of work every Friday afternoon, board a train to that city, pick up the checks, and deposit them in a local bank by noon on Saturday. Each Monday morning, he was back sitting at the desk of his unsuspecting employer. This routine got old quickly, so in 1943 he set up offices for just three fictitious companies – Avon Mills, Eastern Mills, and York Mills – in Trenton, New Jersey. 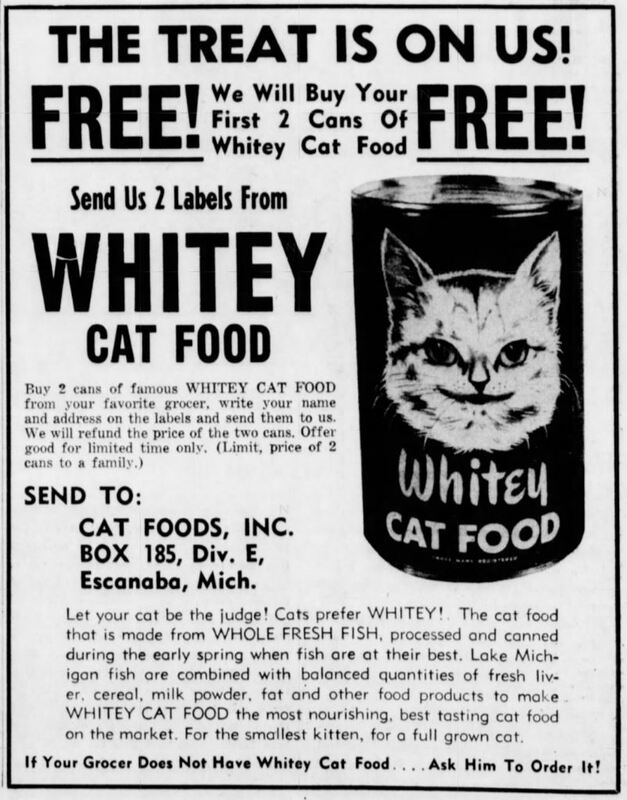 Yet, it was one of those original 1942 companies that ultimately caused Wilby to flee. The problem was that he had opened a bank account in St. Louis under the name of Frederick B. Hecht. Under normal circumstances this would not be a problem, but this was during World War II. Having a bank account under a German name that moved large sums of money in and out was sure to raise some suspicion. Soon the FBI was at Wilby’s door. Oddly, they never suspected him of embezzlement. Instead, they had become convinced that Hecht was a Nazi Fifth Columnist and were simply asking Wilby questions to help them ensnare their suspect who didn’t really exist. That’s when Wilby decided to pack it in and flee to Canada with the loot. Wilby plead guilty to the embezzlement charges and was sentenced to a five to seven-year term at Sing Sing prison. Just as his first two wives had done, Hazel had the marriage annulled. She became a fashion model for a while and then remarried. Hazel Vanderveer Pohlen passed away on June 23, 2000. 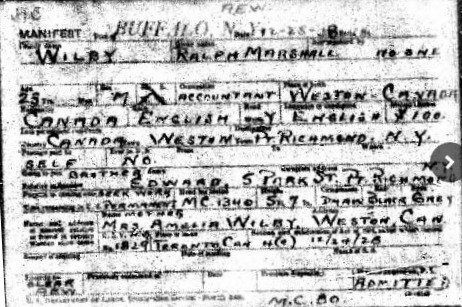 Ralph Marshall Wilby was released from prison on July 24, 1951 and deported to Fort Erie in Ontario. He died at 66-years of age on July 12, 1971 in Penticon, British Columbia.